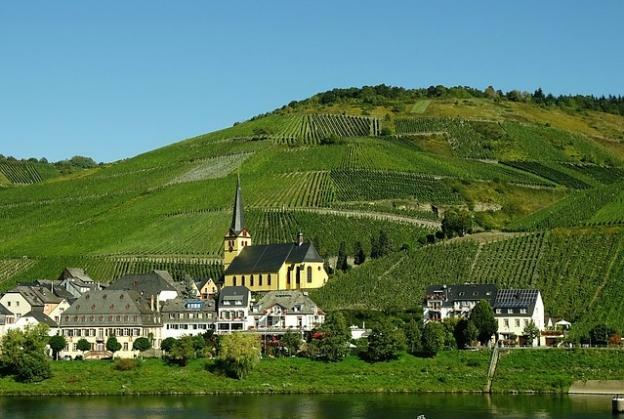 The vineyards of Germany, which occupy a relatively small area of that great county are the most northerly in Europe and can be said to represent less than 2 per cent of all European vineyards. Nevertheless they produce more fine wine in relation to their size than does anywhere in the world, and the best wines of the Rhine and the Mosel are generally considered to be equals of the great French Sauternes. The prime characteristics of good German white wines (there is overall little red wine made, all of it relatively undistinguished) are a light delicate taste and an astoundingly perfumed nose, like the scent of spring flowers. On the whole, fine German wines are best drunk not with food, but by themselves as the Germans drink them, for aperitifs or evening drinking, and always chilled. Their relatively low alcoholic content and refreshingly light taste make them more than ideal for parties. Despite their very elegance and high quality, it is unfortunately the case that the wines of Germany are relatively unknown and unappreciated in North America, even by those to whom the wines of France are an open book. The reason for this neglect may have much to do with the apparent or real complexity of the names and labels. The 1971 German wine laws were designed to give the consumer better quality overall, more and clearer information and greater security. These laws seek to define labeling, control the harvesting and vinification, delimit accredited regions, establish minimum mustweights and serve the consumer by demanding a system of chemical analysis and organoleptic evaluation. There are five principal factors that determine the quality of Germany’s wines. The grape variety obviously governs the flavor. Traditionally, the noble Riesling and the higher yielding Sylvaner have dominated. Today indeed we find many new strains being planted. Generally speaking, quantity and quality are offsetting factors in a varietals performance. The second factor is the soil. Just as Beaujolais granite soil brings out the best of the Gamay grape, so the slate and dark brown calcareous soil of the Mosel and Rhein draw finesse from the Riesling. The geographical disposition of the vineyards is significant. The steep slopes of the majority of vineyards tip the rainfall rapidly into the rivers below. In contrast to the vines of the Midi which reach fifty feet or more into the subterranean moisture that will succour the during a long dry summer, the German vines are shallow rooters, to take advantage of the all too brief dousing they will enjoy during the rainfall. The climate, third of the quality determinants, is almost hostile to the vitis vinifera. Danger of early frosts in the autumn and late frosts in the spring encourages only the hardiest of varieties. Relatively low statistical sunshine imposes a further hardship on the ripening of grapes. Vineyards are carefully positioned on the sun-trap bowls of south planting slopes, with rows of vines planted across the prevailing wind direction to lessen the loss of heat when cool autumn winds whistle through the valleys. Harvesting control is the fourth factor of importance. 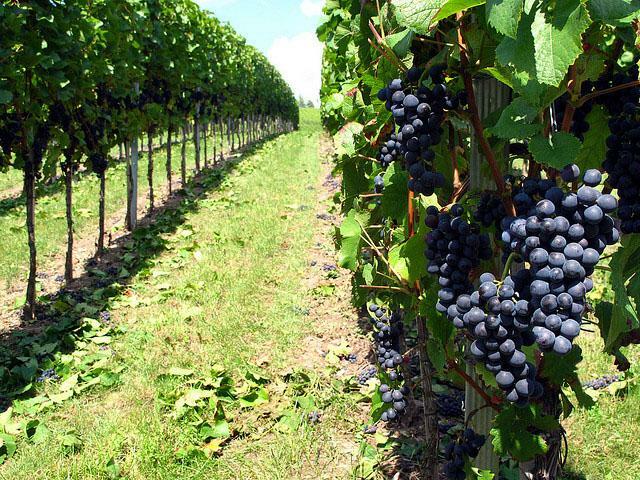 The German state control bodies, determine and police the days of which picking of various areas may begin, for each of the types of wine to be produced. Lastly when it comes to German wines the vinification processes affect the type of wine produced and the naming of the wine. This added to the method of picking bunches or berries give the German wine industries an opportunity to offer so many different styled products. Marty B. Warhaft, the author of “The wines of Germany” is a wine maker and a travel writer from Mosel.